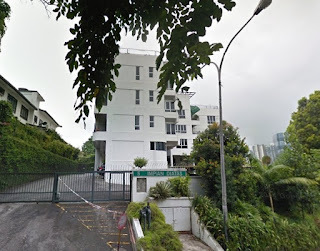 Impian Diatas Condominium is an exclusive condominium located along Persiaran Endah in Seputeh, Kuala Lumpur. Impian Diatas Condominium comprises seven 4-storey blocks, each unit has a built-up size vary from 2,200 sq.ft. to 2,300 sq.ft. comes with 3+1 bedrooms. Built-up Area : from 2,200 sq.ft.